This ring pillow is simple, elegant, and perfect for so many wedding styles. 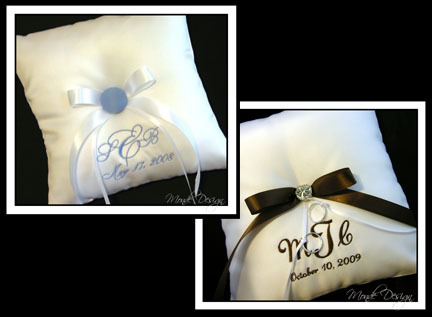 The monogram can be done with the couple's monogram, and can be sewn in any color to match your wedding theme. The pillow is typically done in white or ivory satin, but there are many colors of satin available. 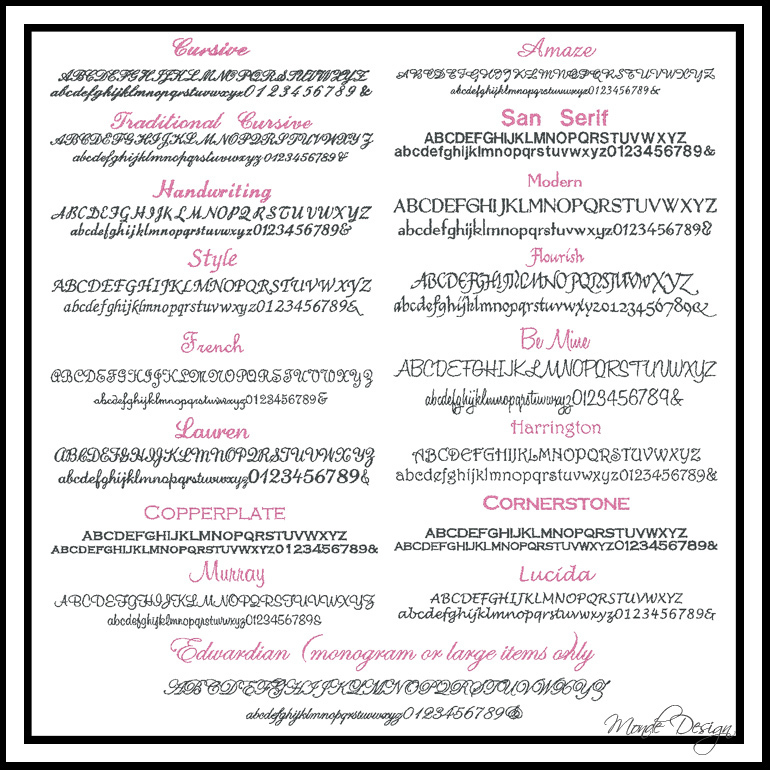 The fonts options are below, but if you have a particular font you are using for your wedding, we can see if that particular font is available as well (additional fee may apply if we need to purchase a new font, or digitize a monogram to match). Please be sure to look over each letter to make sure it looks exactly as you like. If you would like it another way, just be sure to put it exactly as you like. The middle initial is typically done larger, unless otherwise requested. It will be done as entered unless other instructions are given.